Discovery Notes The soil that Sage Phage was collected on September 15, 2013 from Richmond, Virginia. The temperature that day was 72*F and was a clear day. The soil was isolated in a spot on the James River access, located in Belle Isle, and was soil that makes up the sea floor of the James. This soil was donated by Farrah Hermes and was tested in the Phage Lab at Virginia Commonwealth University. Naming Notes SageFayage was named after me. 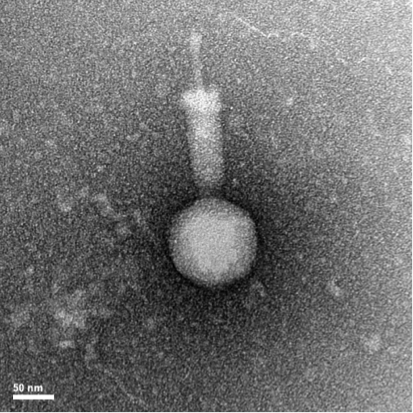 Plaque Notes A normal plaque for this phage is approximately 1 mm in diameter, clear, round, and has a halo surrounding the plaque. The halo tends to be turbid compared to the actual plaque.